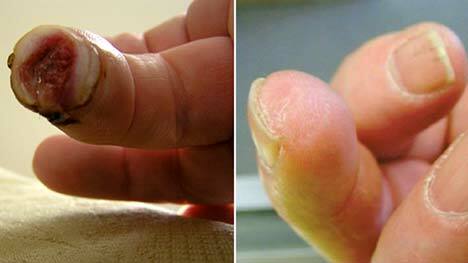 British scientists have discovered a way to regrow a man’s finger from “pixie dust” they obtained from a pig’s bladder. Don’t believe me? Check out the above “before” and “after” pictures. 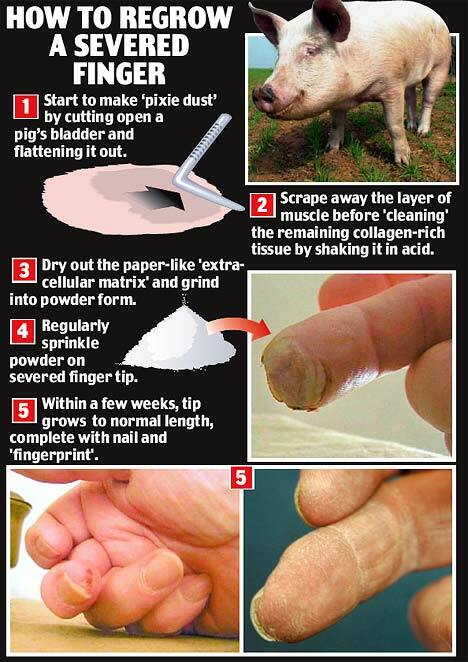 The how to on the procedure is in today’s U.K. tabloid, The Daily Mail.